Community Supported Agriculture engages farmers and community members in a mutually beneficial relationship, providing financial resources and security to the farmer, and nourishing food and relationships to the member. At the beginning of the growing season, individuals and families pay in advance for a share of the farm’s produce for the season. To arrive at the cost, we multiply the average value of the weekly share by the number of weeks in the season. Each week, members pick up their CSA basket at a designated time and location. 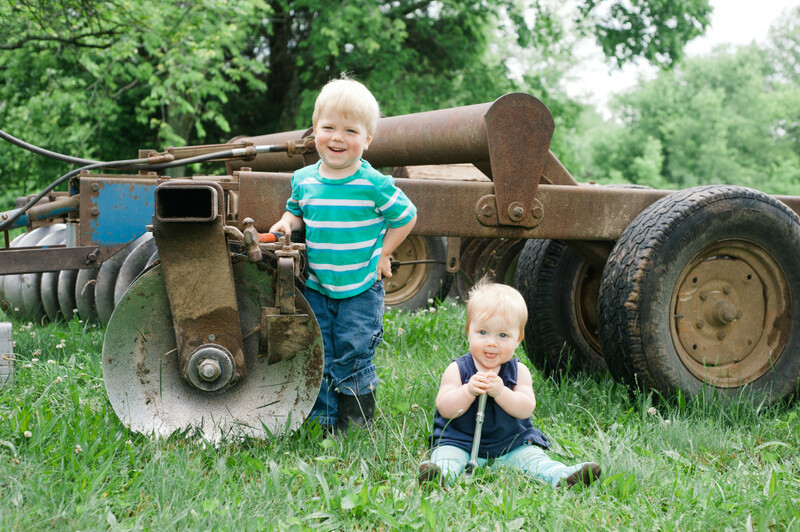 Why is CSA good for our farm? When you purchase a share, you pledge your support to our farm so we can buy things like seeds, fix equipment, pay our employees, etc. Furthermore, farming is risky business due to weather, disease, pests, changes in market conditions, and more. 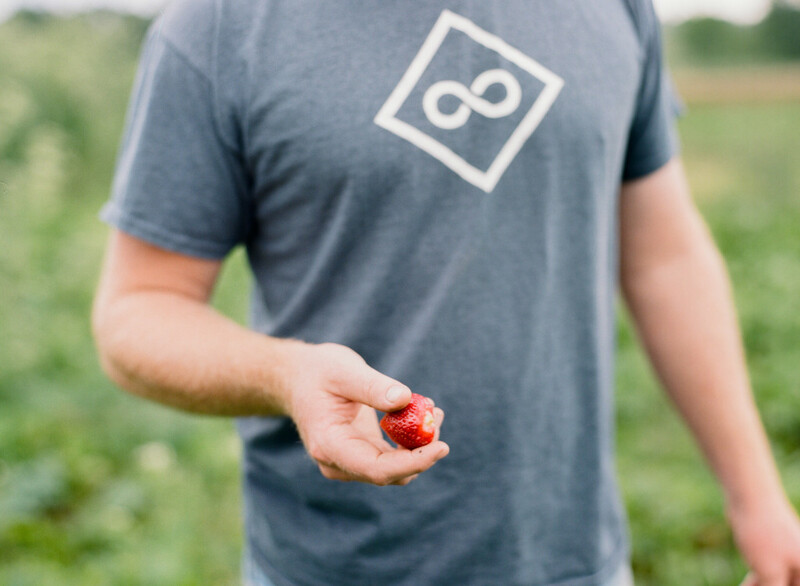 When you buy into our farm for a season, you help spread the risk, but also the rewards. Why is CSA good for members? CSA gives members access to truly nourishing food: organically and locally grown, nutritious, delicious, and fresh. 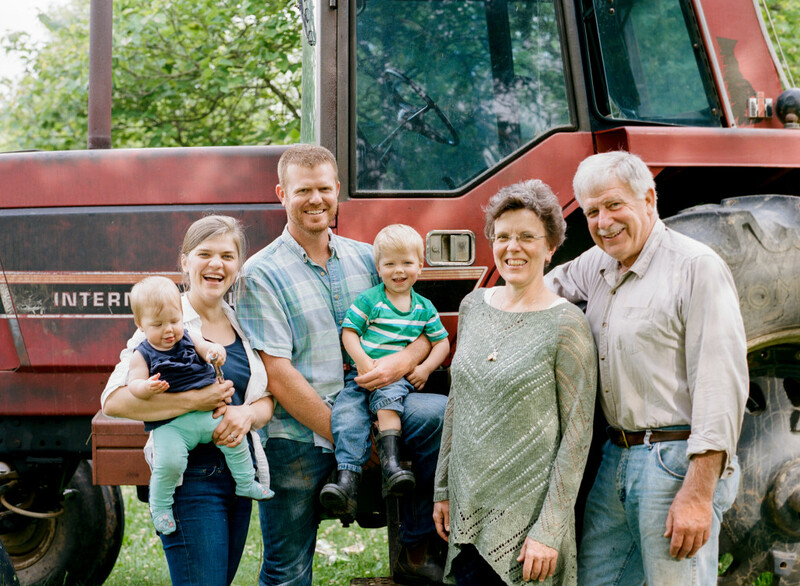 What’s more, CSA directly connects you with your farmer, with the land, and with a community full of neighbors who have similar values. A CSA pick up is a great place to make friends and to learn new recipes. Finally, CSA is a great opportunity to financially support and put into practice some of the causes that you care about: stewardship of the land and the life it supports, a healthy local food economy, and the success of small farmers. Can I come out to see the farm? How much does it cost & which season is best for me? ** Individual deliveries to your HOME/OFFICE add $5.00 / week. Delivery fee may be waived if there are enough individuals in your office joining our CSA. If your office qualifies it will be listed as a community site on our signup form. ***These are generalized recommendations. We have had families of 5 struggle to eat a small share, and households of 3 eat 2 regular shares per week. We do suggest starting small, and moving up to a regular if you find you want more veggies. When you commit for a season, we use that income and information to plan what we plant, hire labor, and more. Therefore, we do not allow drop-outs. If you are dissatisfied with your CSA for any reason, please engage us in conversation and we will do our very best to solve the problem. However, we wish to be flexible and understanding, so in some situations, we will consider refunds and/or drop outs. 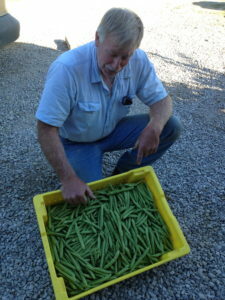 Lothar’s own half-runner beans. We save our own seed to keep these going. Can I participate month by month? CSA works for us because it predicts a certain amount of income and allows us to purchase inputs and hire labor. Therefore, we do not enroll on a month-by-month basis. Please check out our many share options – including a “try it out share” – to fit your needs. If you are interested in a “try it out share” contact us, and we’ll set something up. 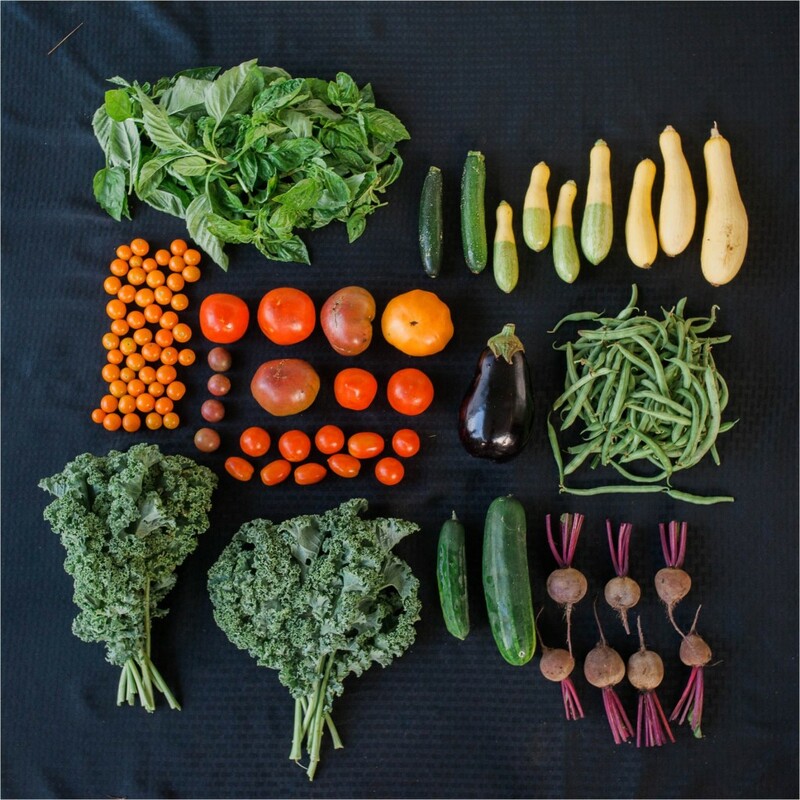 We try our best to provide a full, diverse CSA basket each week. 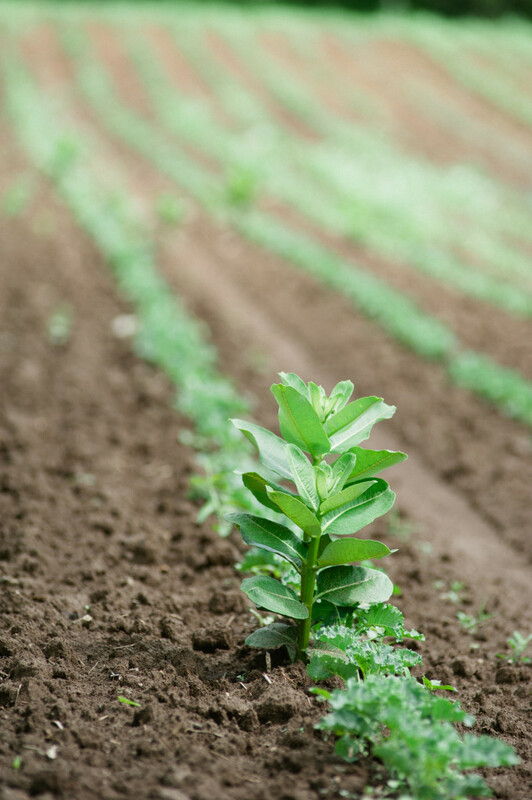 Inevitably, due to weather and other natural shifts and shocks, there will be weeks, months, or even whole seasons when certain crops are unavailable. Some seasons will bring a bumper crop of tomatoes, others, a glut of cucumbers. However, we trust that over the course of the season and from year to year, your share will be an abundant array of farm fresh food. If you know in advance that you will not be able to pick up your share, either send a friend, or let us know by email at least 24 hours in advance, and we will help find a solution. You may come pick up your share from the farm or, depending on your pick up location, you may be able to retrieve your share after pick up hours.